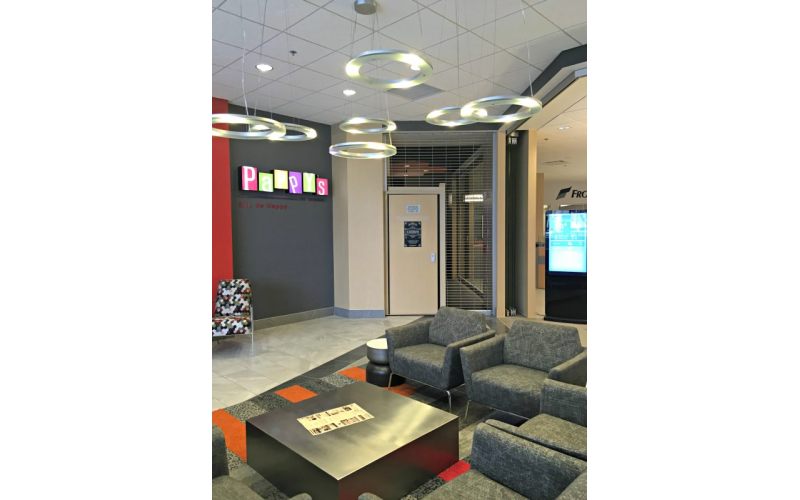 We worked with McKeon Door Company to design a custom security grille with an integrated egress door. 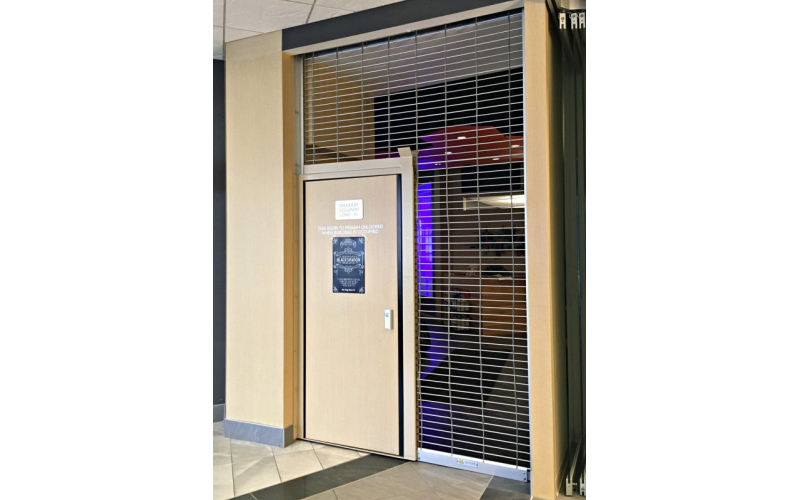 The final, installed product was a 6’3” x 10’6” motor operated coiling security grille with a clear anodized aluminum finish and 3’0” integrated egress door. 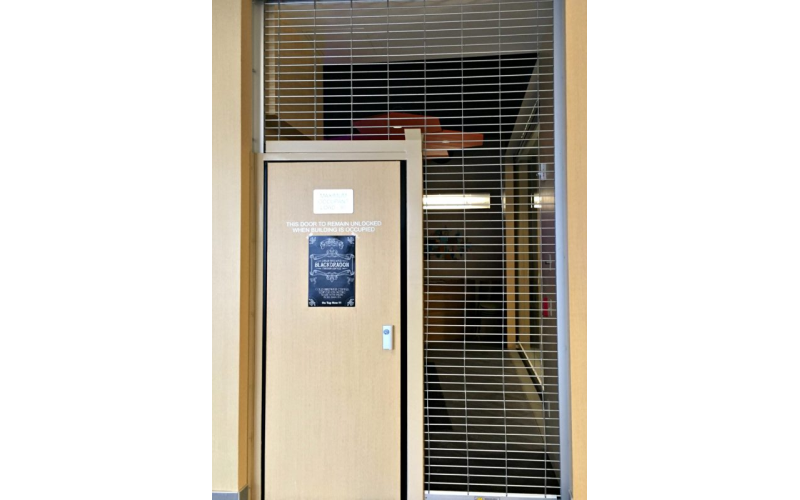 McKeon’s security grille requires much less head room and side room than other options, providing a great deal of flexibility. The egress door is flush mounted in an adjacent wall, deploying and locking into position on command. Once in place, the integral egress door and frame serve as side guides to accommodate the security grille.